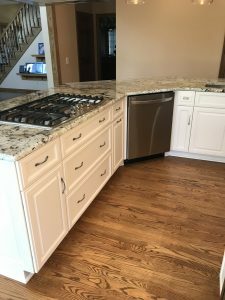 A few weeks ago, I shared the start of our kitchen remodel journey. 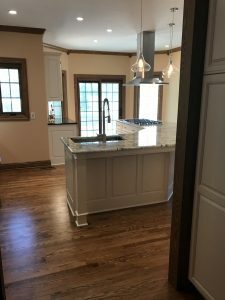 I compared re-doing a kitchen to editing a book. Books and kitchens are big projects that challenge our imagination, planning, and determination. Plus more calmness then I have ever before shown and a sense of humor helps, too. Now that the kitchen is finished, I can say that writing a book and building a kitchen are more than just tasks and jobs. It’s about the heart and soul of each creation. 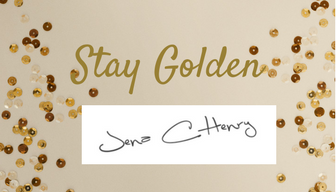 When I write a book, I want to entertain, inspire, and encourage my friends and hopefully add some joy and beauty to their lives. Well, a kitchen is really the same isn’t it? We want to have a welcoming place to share love, fun, and good times with with each other and with our family and friends. Now that I have had a few weeks to get acquainted with my new kitchen, I have to say that I’m happier, I really am. I’m calmer, more serene, and more joyful, too. I am uplifted by the beauty and craftsmanship- I have a happy oasis. I promise to keep an air of expectancy as we see how our new kitchen enhances our lives. I’m praying for happy times to love my family and friends as we break bread together and share meals, holidays and good times, in the days ahead! Wouldn’t it be marvelous if you could all stop by?! Thanks for all the months you listened to me about this project. 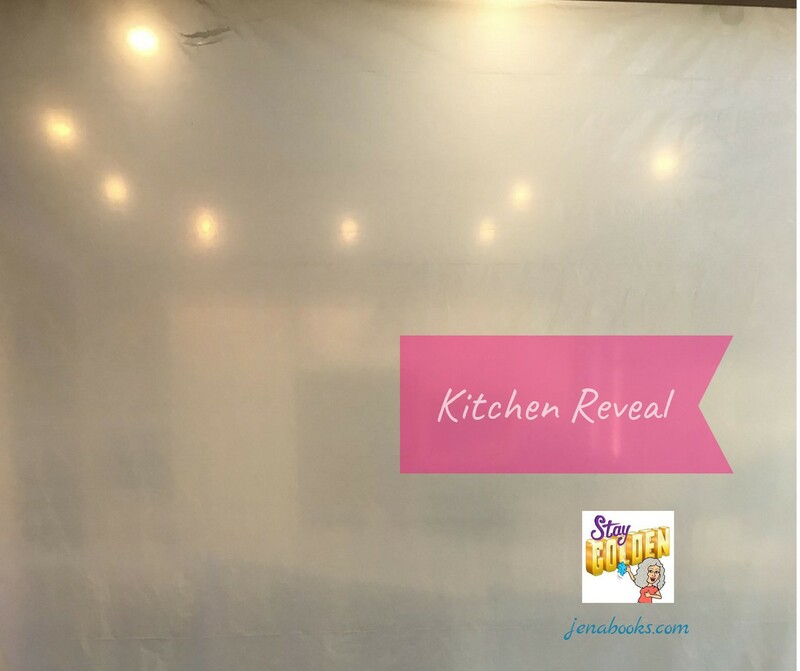 15 Responses to Kitchen Reveal!! I LOVE IT !!!! Caps needed for this amazing new look! It is beautiful and I would be so happy having out in this kitchen. Great job and worth the wait, right? Thanks for the reveal! Well it will be waiting for you when you are ready to use it. I do love it! So bright and cheery! It looks great! I like the kitchen worktops. 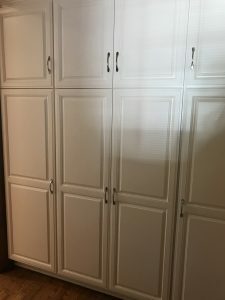 Our kitchen was made by my husband’s father ( a retired cabinet maker). It has great character but you have inspired me now. 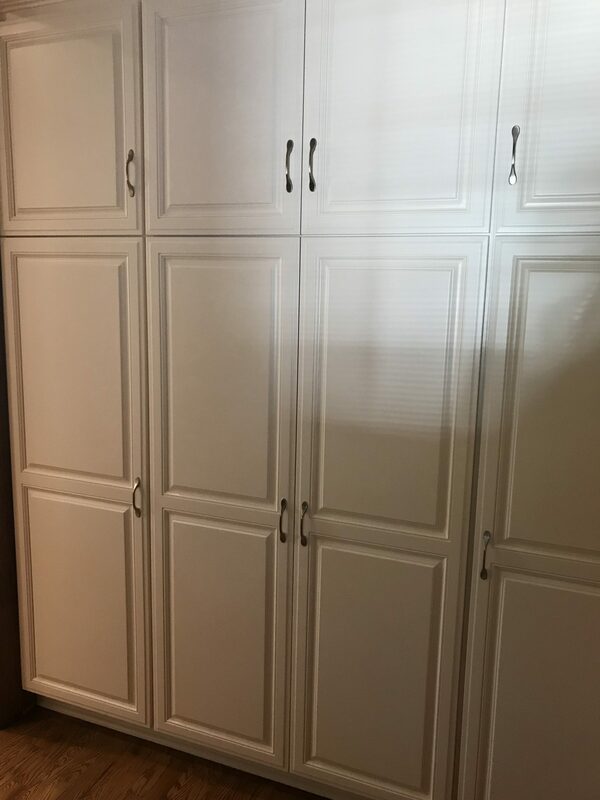 How wonderful to have cabinets made by a loved one! And I’m sure they are well-built and lovely. Our cabinets were made in Amish country, about an hour south of where we live. I don’t know that they were actual Amish-built, but there are many skilled craftsmen in that area. They are solid, well-hung, the paint on them is gorgeous.But, I understand Tom, too! Thank you! Even lovelier in real life- so many colors and sparkles. It is stunning. 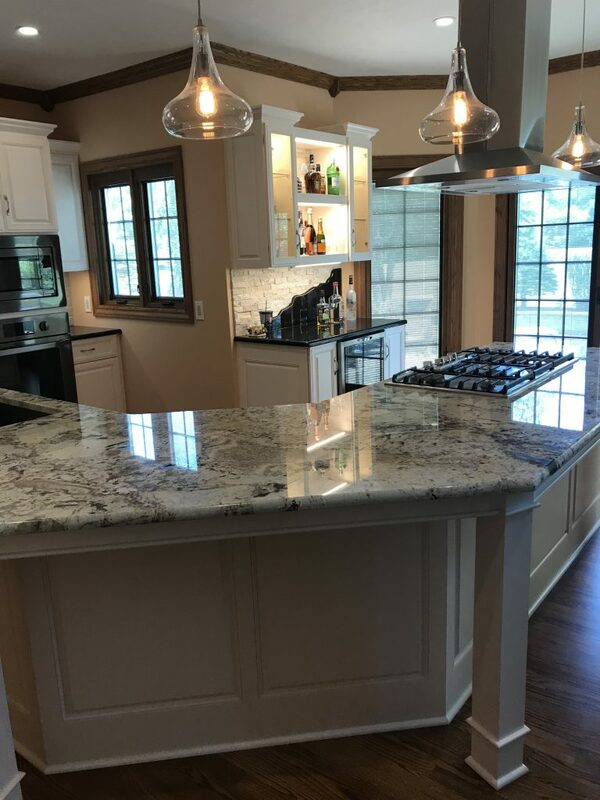 I WANT YOUR KITCHEN. 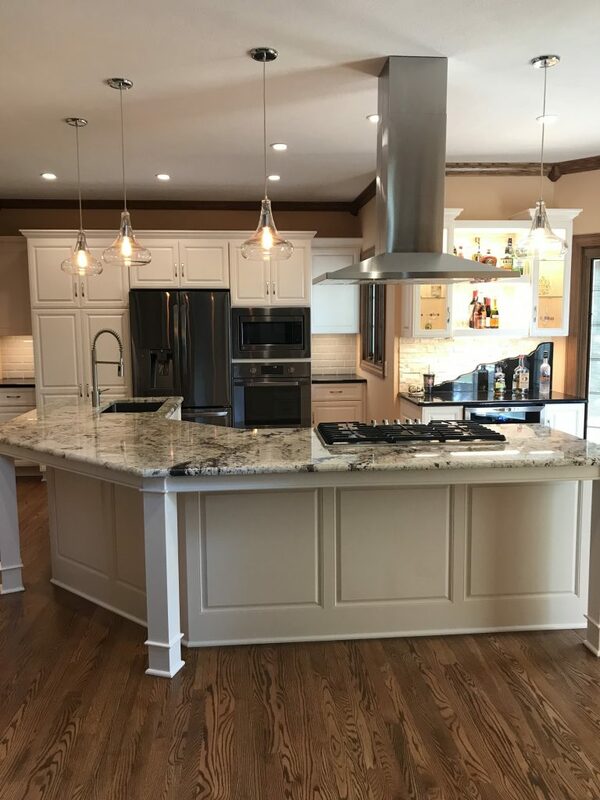 Love your new kitchen! I’m sure you will have many entertaining adventures in it! Thanks Donna. Finally getting it put back together! I smile every time I’m in it! 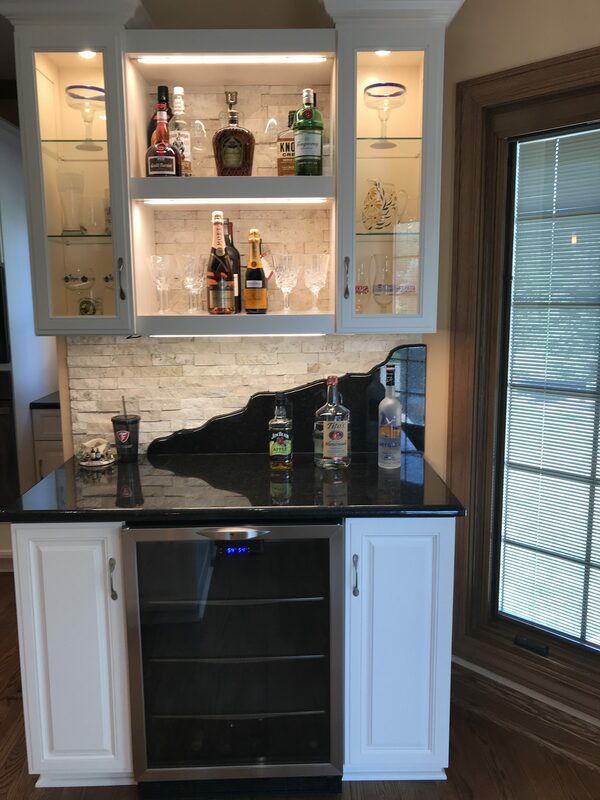 OK, so I was trying to say the kitchen is gorgeous: I love the lighting and countertops but am especially fond of your combination backsplash materials behind the wine fridge. 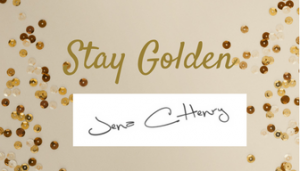 Sorry I am so behind on my blog visits…. hope you are truly enjoying your new space. Thanks! The wine area was a splurge of beauty. As it turned out, I’m not drinking now but I love the look. Just starting to enjoy all our new features! Thanks for letting me know Pauline. I’ve been experiencing some issues too this weekend. I will let my “web guys” know.